Finally getting around to saying hi. Names Patrick and hailing from Charlotte, NC. 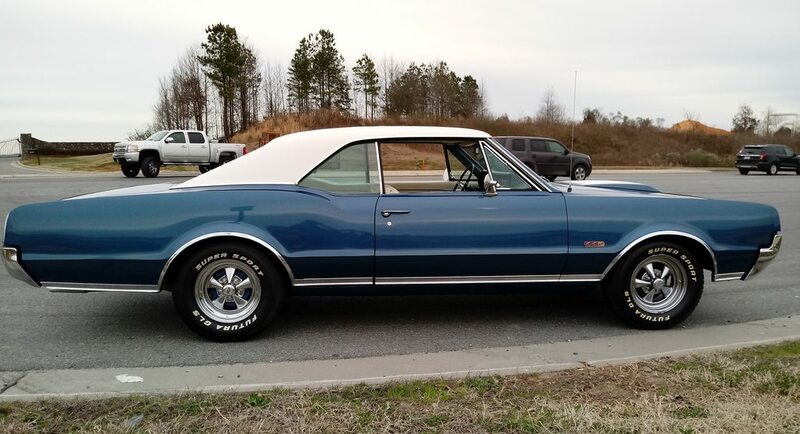 I purchased this 1967 Cutlass Supreme a few months back. Bought from a consignment dealer right here in Concord, NC. I didn't get any paperwork, receipts or otherwise history. 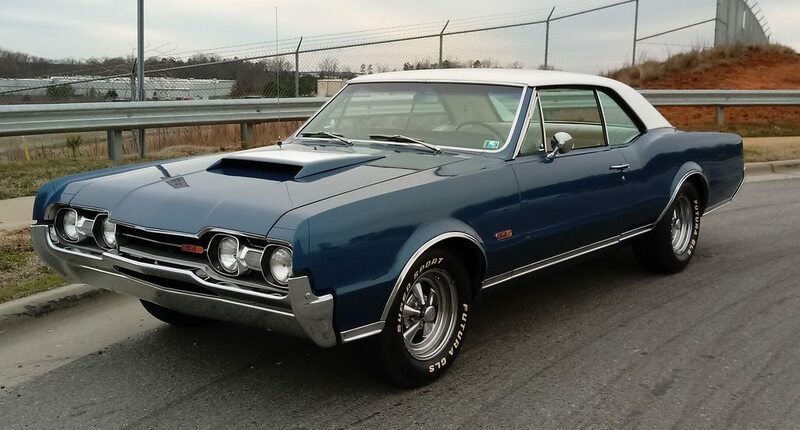 From some digging on facebook, I did find a couple people that possibly knew this car to be from PA and maybe a guy named Mike who may have done some work on it. Anyway, if anyone knows about it, you can drop me a PM. Its a great driving car. Originally Crystal Blue, it appears to be Tahoe Turquoises. 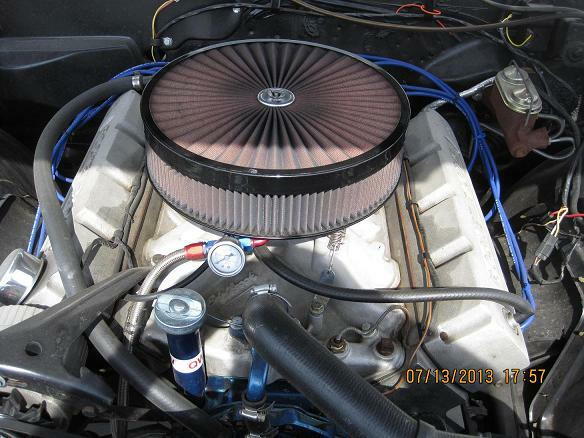 Under the hood is a well running 425, no AC, TH400 Hurst floor shifted, 12 bolt with 3:08's. Had a Front Disc Conversion. 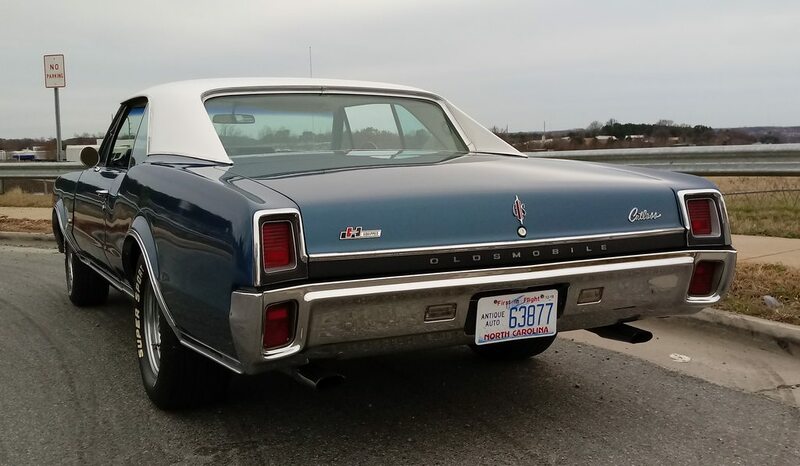 According to body plate, the interior may have been blue and is now white, which is fine and some 442 badges were added but not on the decklid which still retains the Cutlass. I don't try to pass it off as a 442 and doesn't bother enough to even attempt to remove them as I really don't want to do any repainting if its not necessary. Just wanted a fun driver car and it is. Here are a couple of pics I finally got around to taking today. Seems there were many rainy weekends since I bought it and today was pretty nice. As for the scoop, yes its there. No it doesn't function. No, I'm not messing with it. Its grown on me. I'd like to think of this ride as something a hot rodder in the late 60's or early 70's might have done to their otherwise nice car. Drop in a 425 they had from a wrecked Toronado or Delta 88, dress it up a bit and add some badges to brag. Anyway, I'm always looking to learn. 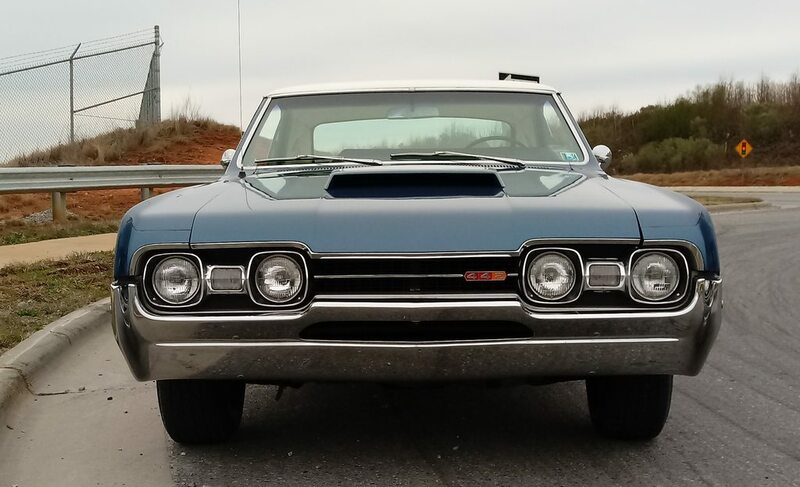 This isn't my first Olds, more like my third. 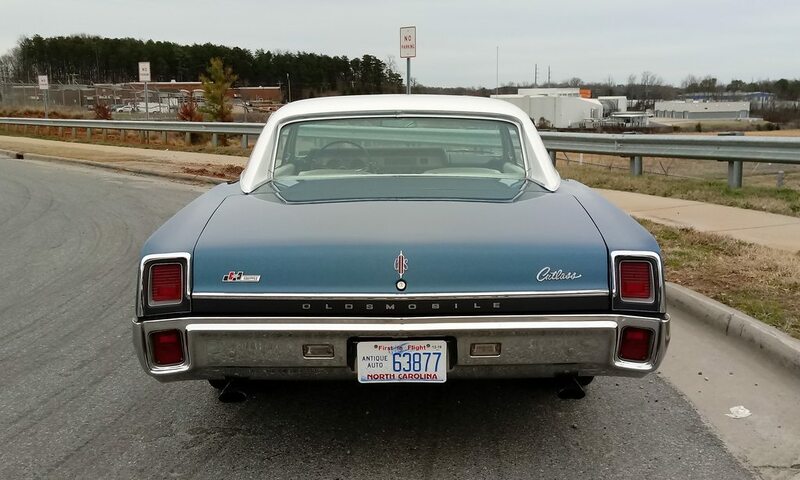 Had a 72 Cutlass S in high school and a few years ago parted with a fine 70 442. Thanks for looking. You can click the image for a larger pic. Welcome to the site! Nice looking car. You must have read other posts where the first thing we ask is "show us some pictures"
Thank you, Indeed I have. That is a very nice CAR...I began to "thin the Herd" 3 years ago. 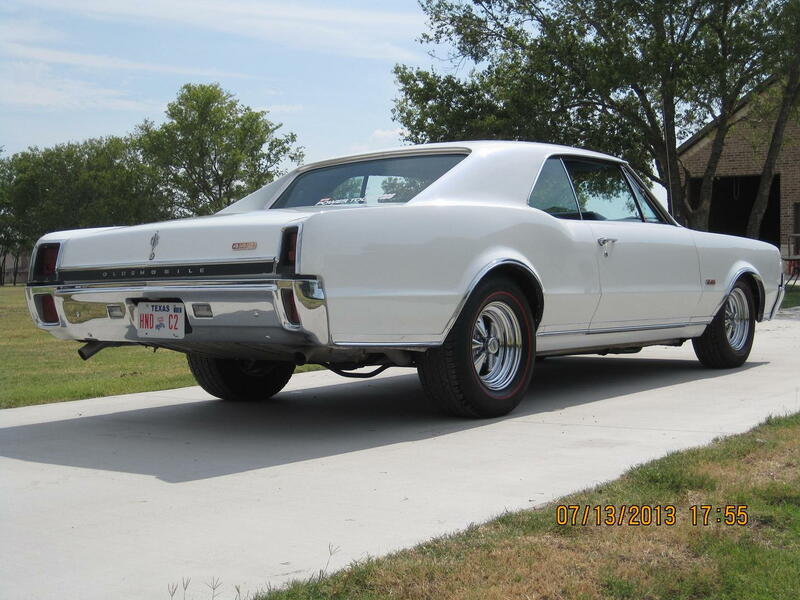 I let my 13 year old 67 Cutlass" Resto Mod build" go and a low mileage 62 Dynamic 88. 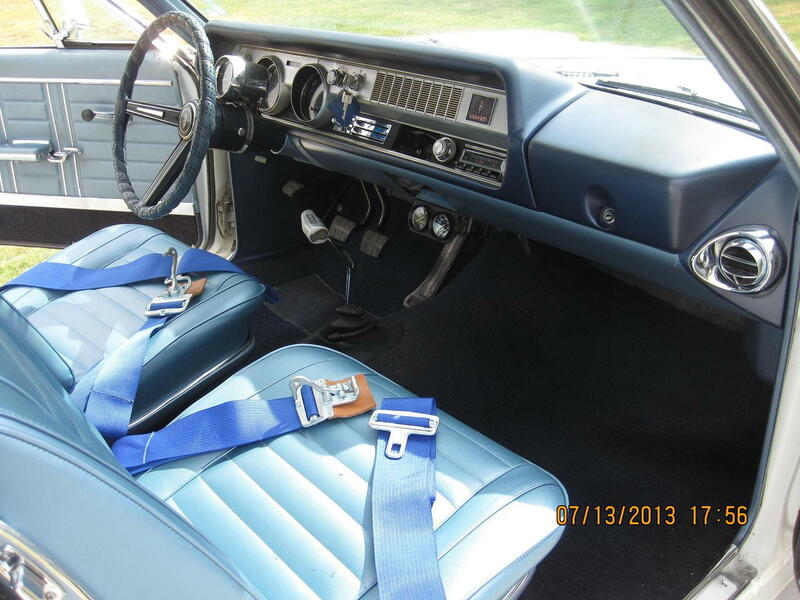 When I put drag radials on that 67 car, the torque at launch would PULL your shirt off! Welcome. 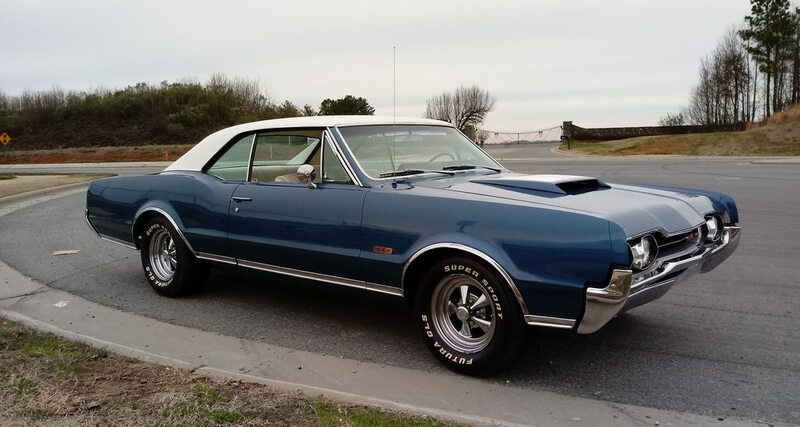 That's a gorgeous Cutlass! Patrick - Nice. Hi from Beaufort, NC. I have in-laws in Concord. I was hoping to check that car out in the summer but never made it down. Looks like a beautiful car. Welcome to the site, sweet ride. Love the color combo and the hood scoop. Good looking car. Enjoy it, and welcome to the site. Welcome to CO. Nice car and has a very nice masculine stance. Enjoy. I like it, the scoop fits the body lines very well! 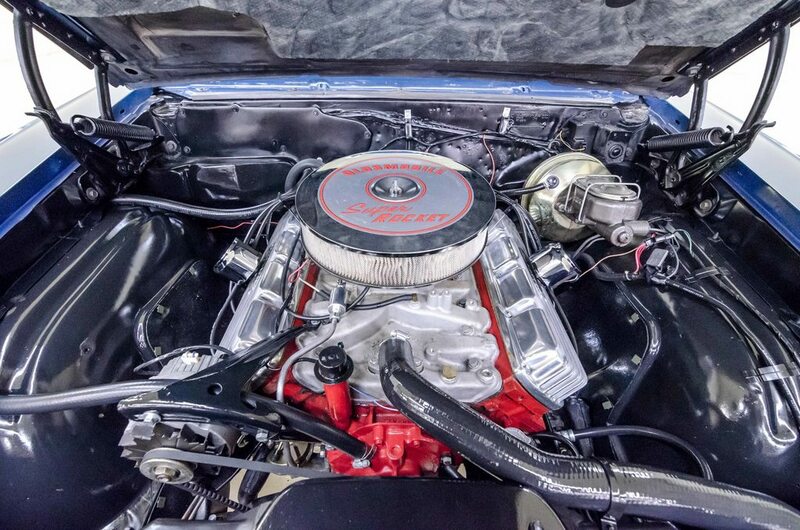 FYI the correct heater core hose is reproduced with the tight bends necessary for a big block in the 67 body. Nice car. 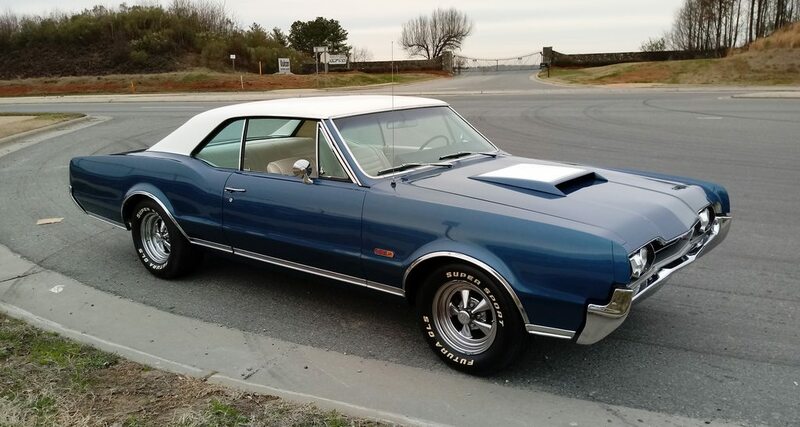 I always thought the 66/67 Gutless was the nicest body style. Enjoy! Thanks everyone. 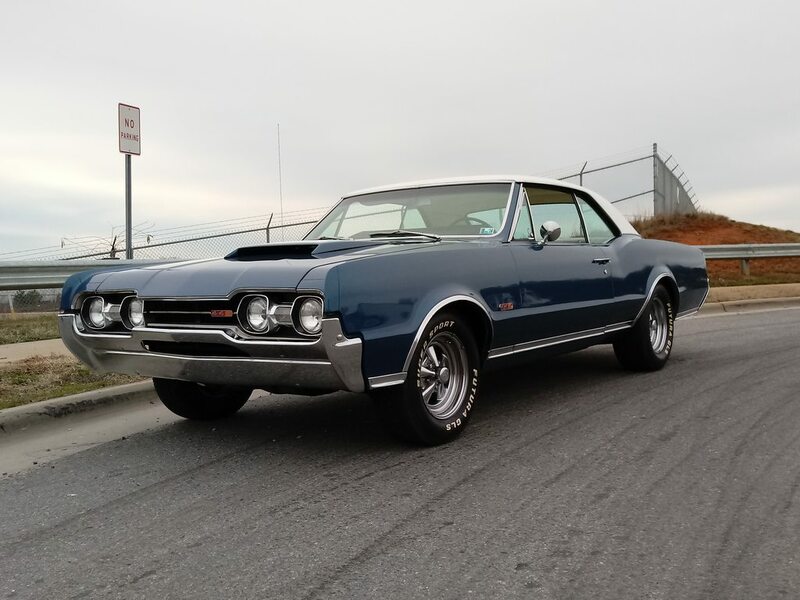 Hopefully if everything goes OK I'll be at the Spring Charlotte Autofair and meet some of you and see those wicked rides in person.